There are various ways to “skin a cat” and that certainly applies to slicing ham. 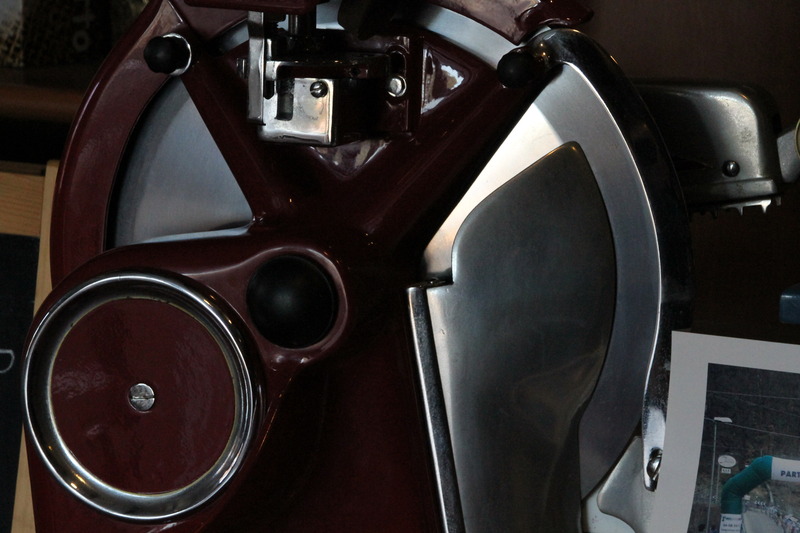 The Rolls Royce of slicers is the Berkel slicer. They have a history that goes back to the mid 70’s when they dominated most delicatessen’s counters. Today the automatic machines are more efficient and certainly more safety proof. Nevertheless the Berkel still reigns in many top establishments. Here is a vintage sliver from the 1970’s and is still being used to slice.